Perpetual Foreigner stereotype alert: shortly after US figure skater Mirai Nagasu became the first American woman to land a triple axel in an Olympic competition, New York Times Opinion section editor Bari Weiss (@bariweiss) tweeted “Immigrants: they get the job done,” a line from Hamilton. The implication from Weiss’ tweet was obvious: Nagasu should be celebrated as an American immigrant. One problem, though: Nagasu was born in Montebello, California. And yet, for Weiss, the place of Nagasu’s birth doesn’t seem to matter: instead, the colour of her skin appears to have marked Nagasu as foreign. Why is it that American media personalities commenting on the Winter Olympcs can never seem to remember that Asian Americans are American, too? Let’s not forget the infamous headline: in 1998, MSNBC published a headline declaring that “American Beats Out Kwan,” implying that US figure skater Michelle Kwan wasn’t an American. Now again, a mainstream media commentator can’t seem to figure out that Mirai Nagasu isn’t an immigrant. When questioned about her now-deleted tweet, Weiss doubled down arguing that she was taking poetic license in referring to Nagasu as an immigrant. But, it’s hard to imagine how poetic license factors in here: there simply isn’t wiggle room on Nagasu’s identity. Although the child of immigrant parents, Nagasu is not herself an immigrant. Moreover, the marking of an Asian American person as a foreigner regardless of her citizenship status has a troublesome history in America. For centuries, Asian Americans have been treated with suspicion, hostility and violence based on the assumption that we are unassimilated, unassimilatable, and perpetually alien. Erasing Nagasu’s birthright citizenship is no laughing matter — it perpetuates the serious and troublesome stereotypes of the Perpetual Foreigner. Moreover, Weiss’ cavalier dismissal of those who raised concerns with her original tweet suggest ignorance of — and apathy towards — the violent history of anti-Asian racism begot by those stereotypes. In a Twitter thread, Weiss compared herself to other outlets who had underscored Nagasu’s identity as the child of immigrants, and suggested that those who were critical of her were a sign of “civilization’s end.” Such “woe is me” victimhood is an ugly distraction from those who seek to hold Weiss accountable for her callous reinforcement of the Perpetual Foreigner stereotype. After all, unlike other commentators, Weiss’ pithy Hamilton tweet failed to contextualize Nagasu as the child of immigrants, rather than as an immigrant herself. For this tweet I am being told I am a racist, a ghoul and that I deserve to die. So I deleted the tweet. That's where we are. Many Asian Americans are second generation Americans — that is, the child of immigrants. However, while most of us celebrate our connection to the immigrant narrative, I know of no second-generation Asian American who identifies as immigrants, ourselves. We do not lay claim to the identity of immigrant because we are not immigrants. We do not celebrate ourselves as evidence of immigrant success because those who prove the power of immigrants are our parents, not us. Moreover, Weiss’ invocation of the Hamilton reference with regard to Mirai Nagasu smacks of respectability politics. Immigrants shouldn’t only be celebrated when they make history. Immigrants aren’t only valuable if they “get the job done.” There are millions of immigrants in America: they don’t just matter if they land triple axels in the Winter Olympics. Like all Americans born in the United States, Asian Americans are American. Our citizenship status is not subject to poetic license. 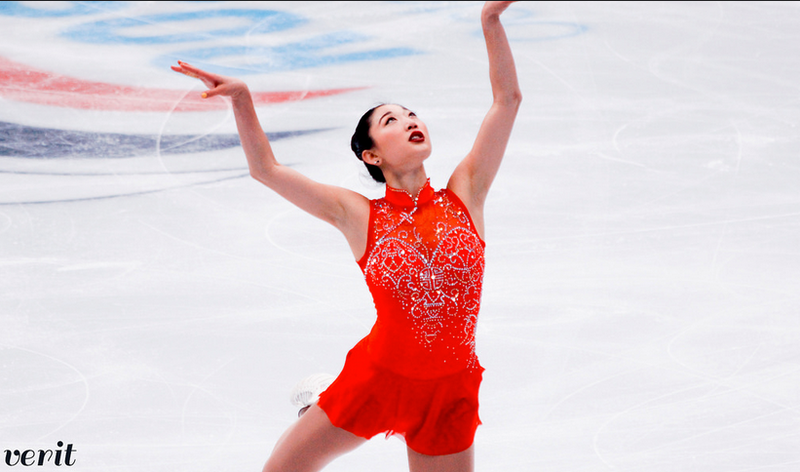 What must it take, I wonder, for a US-born Asian American like Mirai Nagasu (as well as so many others) to finally be viewed beyond the narrow, racially inflammatory, and factually misleading lens of an immigration success story? And also, what will it take for people who make mistakes like this to not double-down on their racism?